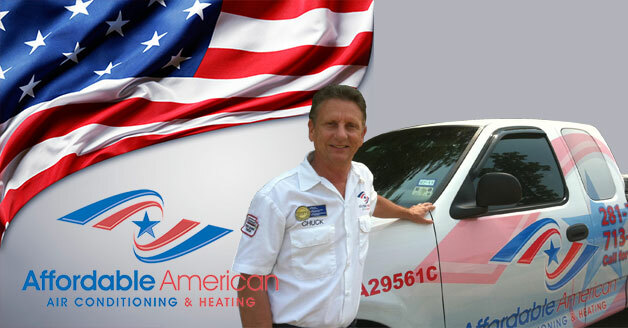 Find professional Conroe heating repair, installation and replacement services when you call 281-704-3696 today. We provide superior solutions at great prices. Save money with our range of valuable coupons by clicking here. Even though Texas is mostly associated with high heat, the temperature can still dip enough in the winter months to make it necessary to use your furnace. You may not have to worry about frozen pipes and shivering under blankets, but it can become rather uncomfortable if the night time temperature drops and you have no heat. Having access to a quality heating professional in Conroe, TX will enable you to call for help quickly so you don’t have to suffer in the cold for long. Want to know what your neighbors have to say about us? Click here to read our latest customer reviews. Many homeowners are switching from their current heating systems by using a heat pump. You have the option of installing a ground source heat pump or an air source pump. A ground source heat pump transfers heat from under the ground, while an air source heat pump takes it from the air. Heat pumps are generally thought of as more eco-friendly, and they can be used for both heating and cooling purposes, making them quite versatile. Why is My Furnace Filter Dirty? A dirty filter in your furnace will cause a series of issues if it is not replaced quickly. As dust and debris find their way into the filter, it becomes clogged and the warm air from your furnace will not be able to pass through. This results in lowered system efficiency and some of that dust and dirt getting into your air ducts, and ultimately into your living space. You will need to change your furnace filter every three months to ensure that it is clean and doesn’t inhibit proper airflow. Is DIY Furnace Installation Dangerous? Considering the fact that your furnace has many components that must work together, and it likely has a pilot light and is connected to your gas line, trying to install a new one on your own isn’t the best idea. Licensed technicians have the experience and the expertise to safely set up a new furnace in your home. This ensures that you receive the reliable heat you need for years to come. A poorly installed furnace will be inefficient and will need regular repairs. Pick up the phone and call Affordable American Air Conditioning & Heating at 281-704-3696 for all your heating needs in Conroe, TX. We will set up an appointment for one of our technicians to visit your home and find the solution you need.